New Parents Guide - My Gift to You! Did you know that 1 in 4 couples divorce within the first 5 years after the birth of their first child? And beyond that 67% of couples report a decline in marital satisfaction after baby arrives. Whoa! I've always known that modern divorce rates were unpleasant, but I was blown away by the statistics of marital dissatisfaction around what's supposed to be such a happy time in the lives of new families. That's why after the birth of my first child, when the reality of parenting in New York City was fresh, I became trained by the Gottman Institute (the folks known for being able to predict a couple's risk of divorce with 94% accuracy) to help couples in this critical point in their relationship. It's been phenomenal and I hope to share some of the knowledge I teach my couples in live workshops with you here on the blog so you can manage this transition of life like a pro. 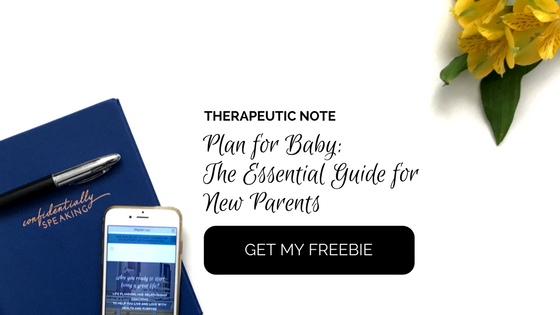 In the meantime, I wanted to share with you my Plan for Baby: The Essential Planning Guide for New Parents. It's absolutely free to download now and if you're anxious about preparing for the arrival of your new child, it's a great quick overview of what I've found couples most need to focus on in the months leading up to childbirth. I'd love to know what you think and how this resource is helpful for you. Be sure to grab it here for free and then leave a comment below with one tip you'll take away to be a pro parent.